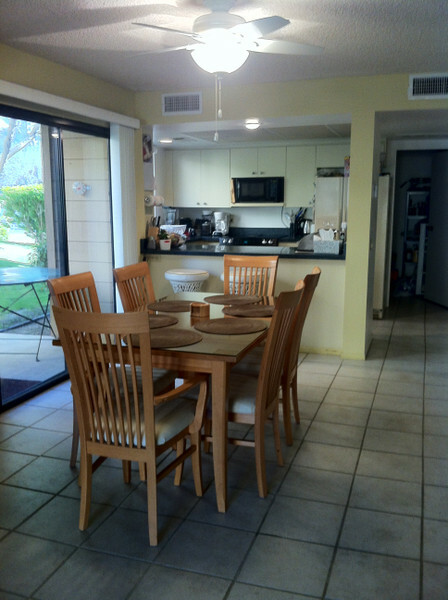 Beautiful 2 bedroom, 2 bath, 1500 Sq. 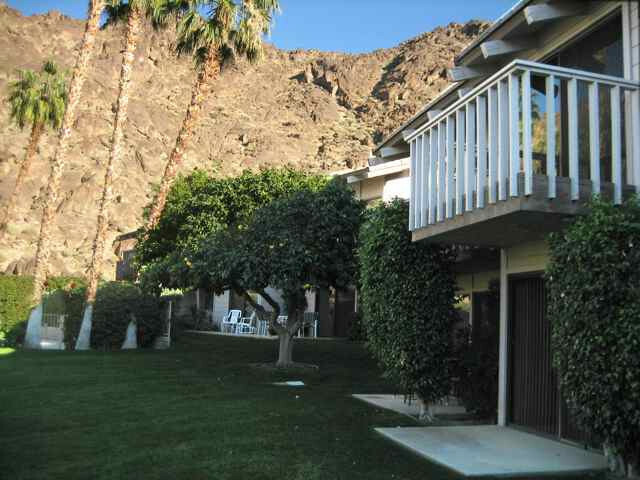 ft. first-floor condo in the gated community of Mountain Cove, Indian Wells. Adjacent to Indian Wells Country Club and surrounded by the spectacular Santa Rosa Mountains, which are lit-up at night, this ground level condo is tastefully decorated with tile throughout and steps away from the 3 salt water pools. 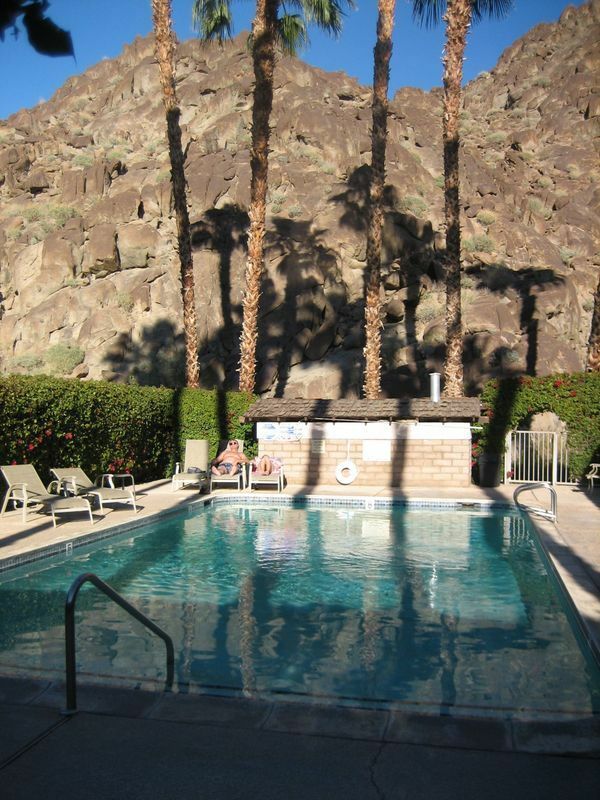 Enjoy the peaceful surroundings of this private cove. 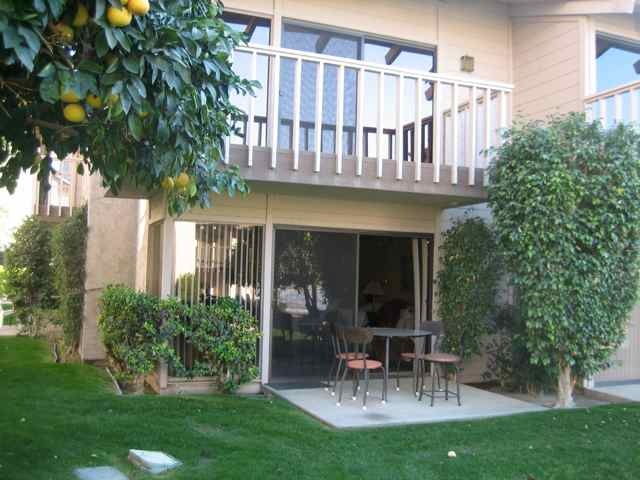 There are sliders that lead out to 3 patios surrounding the condo with serene mountain and garden views. The Master bedroom has a king-size bed, sliding door with private patio, and a private en-suite bathroom. There is a 32-inch flat-screen TV in this room. 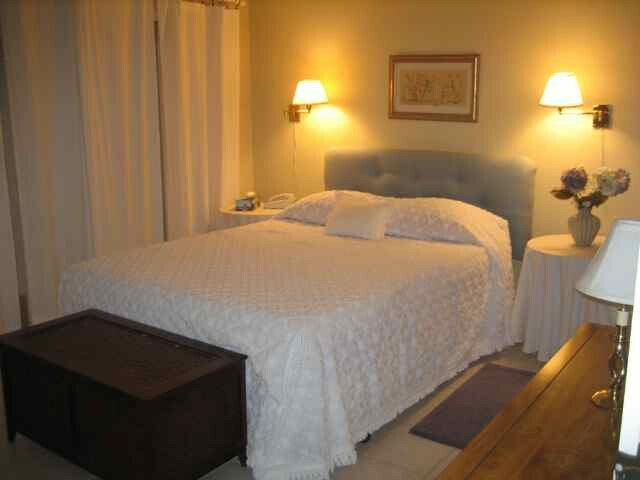 Bedroom #2 has a queen bed and twin roll-away bed, with a shared en-suite/guest bathroom. 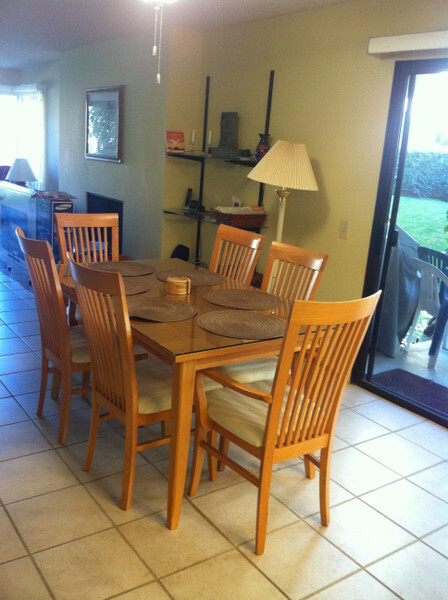 The kitchen is fully stocked,and has an oven, microwave, refrigerator-freezer, dishwasher and separate laundry room. 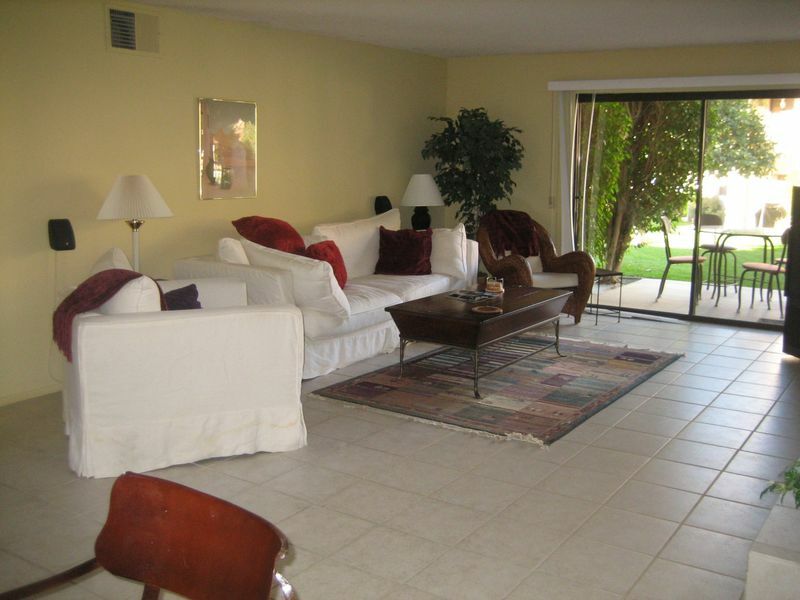 The living room/dining room is very open with two sliding doors that go out to the patios with gorgeous views. There is a gas fireplace and a 60-inch flat-screen high definition satellite TV. High speed internet is provided, along with free calling anywhere in the USA. There is a one-car garage, as well as additional spaces adjacent to unit. 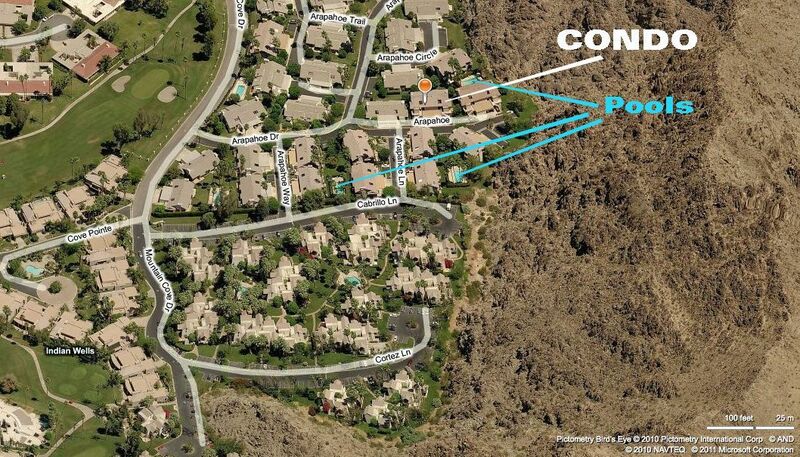 Minutes away from world class golf, tennis, dining, hiking, etc!! Why stay anywhere else?